Q10: Known quality versus unknown quality? Which Q10 product on the American market is the best buy? You don’t know. But you can see which Q10 products have been tested for effect in gold standard studies. What I have found out is that the profile of the Q-Symbio Study CoQ10 treatment is unique. The Danish producer, Pharma Nord, seems to be one of the few food supplement suppliers in the US that is producing a Q10 product according to medicine standards rather than food supplement standards. The target group for Pharma Nord seems to be people who really care about quality. Pharma Nord has compared its Bio-Quinone product with a placebo product in clinical trials in which neither the researchers nor the patients knew until the end of the study who was getting the real thing and who was getting the faux product. Pharma Nord’s Bio-Quinone has been tested in human studies at a high level. Pharma Nord bet the ranch on its product, so to speak. Not just once but three times in important published studies and more often in smaller published studies. 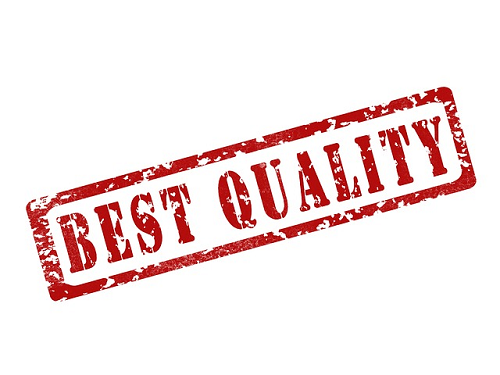 For example, Pharma Nord has also tested Bio-Quinone to make sure that it is safe for type 1 diabetics and type 2 diabetics to take and that it is safe for people on the warfarin blood thinner to take (2,3,4). The Q10 and diabetes research is especially important now that we have seen evidence that taking a statin medication raises the risk of getting type 2 diabetes (1). Until all of the products have been tested in scientifically solid studies, I can’t answer my friends unequivocally that the Coenzyme Q10 used in the Q-Symbio study is the best product. Theoretically, one of the cheaper products might be better than the Pharma Nord Bio-Quinone Q10. So, yes, sure, maybe you can get a better deal when you buy the cheaper product. You don’t know for sure. But when you buy the product that has been tested and documented for effect, then you know what you are getting. When you go to the store, all you can do is compare a known quality with a bunch of unknown qualities. The question you have to ask yourself is whether you are happy enough with an unknown quality. If your answer is yes, then, okay, you should buy the cheapest Q10 you can find. For my part, I think that good-quality research and development, good-quality raw materials, and good-quality manufacturing processes are necessarily going to cost a little more money than the retail price of the cheaper Q10 products on the market. In the same way, I am equally cautious at present about switching from the ubiquinone product Bio-Quinone to a ubiquinol product. I simply have not seen persuasive research results on the effects of taking the ubiquinol products. For me, studies showing statistically significant effects are more important than claims of absorption and bio-availability. Cederberg H1, Stančáková A, Yaluri N, Modi S, Kuusisto J, Laakso M. (2015, Mar 10). Increased risk of diabetes with statin treatment is associated with impaired insulin sensitivity and insulin secretion: a 6 year follow-up study of the METSIM cohort. Diabetologia. Eriksson JG1, Forsén TJ, Mortensen SA, Rohde M. (1999). The effect of coenzyme Q10 administration on metabolic control in patients with type 2 diabetes mellitus. Biofactors;9(2-4):315-8. Henriksen JE, Andersen CB, Hother-Nielsen O, Vaag A, Mortensen SA, Beck-Nielsen H. (1999, Apr). Impact of ubiquinone (coenzyme Q10) treatment on glycaemic control, insulin requirement and well-being in patients with Type 1 diabetes mellitus. Diabet Med.;16(4):312-8. Please click here for more information about Pharma Nord and Bio-Quinone. ← Is Coenzyme Q10 something of a black swan?